Every university in America has folklore. There have always been stories about haunted libraries and apparitions wandering the dorms. Lehigh University is no different and there is no other time of year better suited to share these stories and legends than October. With Halloween right around the corner, we want to ask if any of you have any scary or unexplained stories from your days at Lehigh. 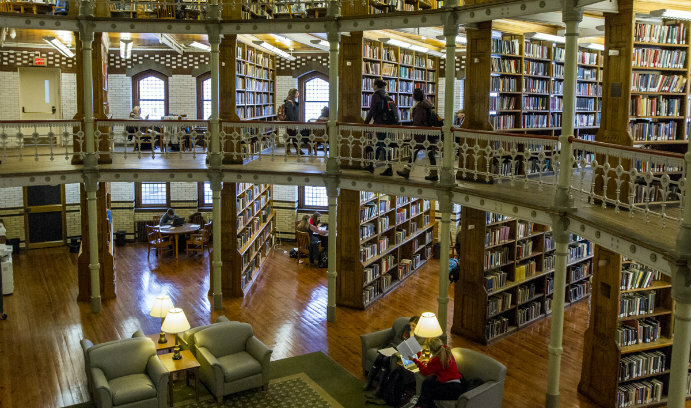 Just to name a few spooky Lehigh legends; Linderman Library is believed to be haunted by the ghost of an elderly man that had been a library patron. Some say the library is also haunted by Lucy Packer, daughter of Lehigh founder Asa Packer. The Lehigh Valley in general has been host to a lot of ghostly legends over the years that can be easily researched with a simple Googling. Apparitions and strange occurrences have been reported over the years at or in relation to Hexenkopf Rock, the (former) Black Horse Tavern, The Easton Area Public Library and The State Theatre. You can share your stories by visiting the alumni website and submitting an update HERE or by emailing our managing editor directly HERE.